Android has the freedom to transform the UI into something totally different. This time we are reviewing the best android launcher for the developers and people who love using Linux terminal. I think geeks who use Linux would like to have terminal experience on their smartphones. This launcher totally mimics the operations and looks of a terminal. If you don’t like icons and you are bored of all those traditional launchers than Linux CLI Launcher can be the best choice for your usage. The need of something unique and different is always there, I remember using the terminal emulator in android and even running Linux on the android smartphone. The idea is quite unique and can serve as a refreshing change in the series o the launchers. 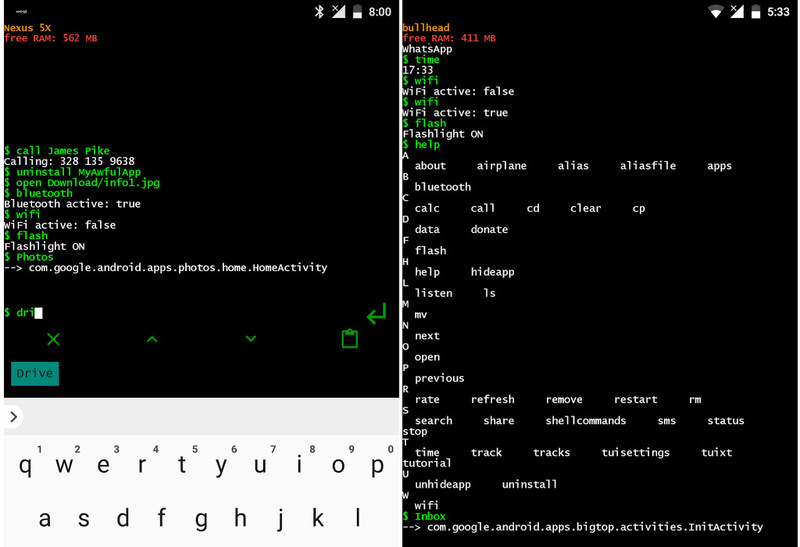 You can actually write commands like sending an SMS and uninstalling android apps. The following commands are usable in the Linux CLI launcher. 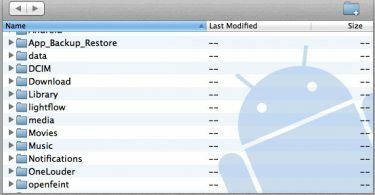 uninstall [app] – Helps you uninstall an application which is installed on your android. sms [contact] [text] – Helps you send an SMS to the designated contact with the given text in the command parameter. call [contact] – Helps you make a call through this command to the contact which you’ve given in parameter. wifi – Helps you change the wifi state. flash – Helps you turn off and turn on the flashlight, a basic necessity when you’re into some dark places. calc [expression] – Helps you calculate the basic mathematics right in the terminal. mv / cp [file] [destination] – Just like Linux it does the copy and paste stuff. There is a lot of other stuff and the autocomplete is pretty good which gives constant hints to make commands and things better. You can even make an alias in order to convert some long command into shorter one, or making a command with fixed parameter. This launcher is totally badass.